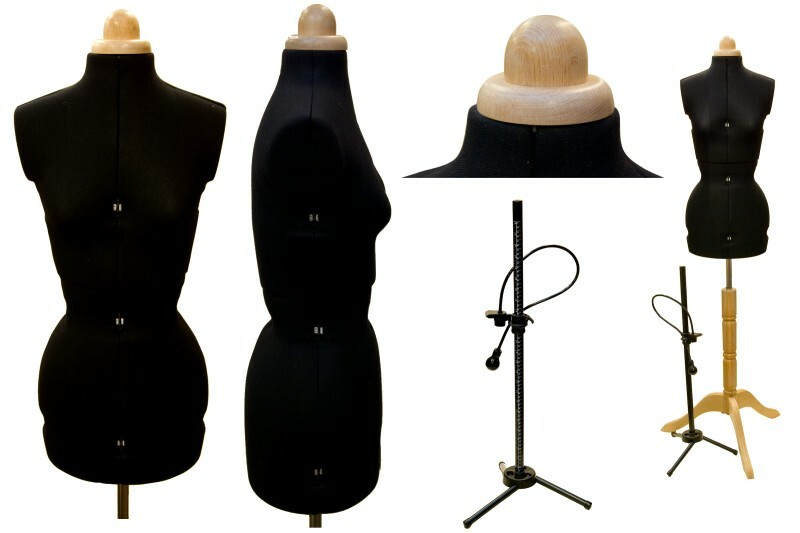 This professional mannequin is the perfect tool for your sewing. Lots of sewing tasks become easier with a mannequin. The mannequin can be adjusted in several ways and has 12 adjusters to give precise body measurements. Craftsman and old world charm demonstrated in solid turned natural wood stand and matching neck cap. Useful heirloom item and practical piece of furniture - a pleasure to own! The torso is simply adjusted to fit you or someone else and subsequently measuring, adjusting, placing zippers, sleaves etc. is much easier. It has 10 turnable wheels to adjust it in various places.